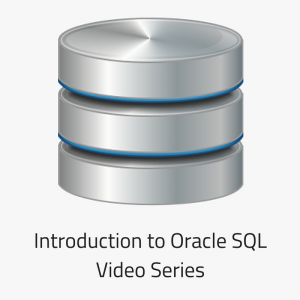 Oracle’s two INTERVAL data types are used to store a period of time. 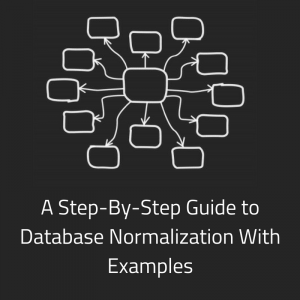 There are a few functions that convert data into these data types. 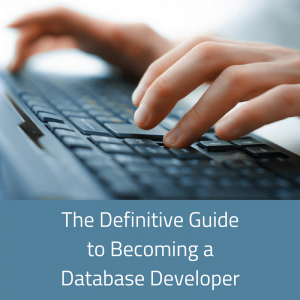 Learn how to use them and see some examples in this article. What Are the Oracle INTERVAL Functions? There are four INTERVAL functions that I’ll cover in this article. NUMTOYMINTERVAL: Converts a number to an INTERVAL TO YEAR MONTH value. NUMTODSINTERVAL: Converts a number to an INTERVAL TO DAY SECOND value. 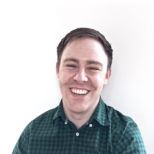 TO_YMINTERVAL: Converts a character to an INTERVAL TO YEAR MONTH value. TO_DSINTERVAL: Converts a character to an INTERVAL TO DAY SECOND value. Yes, two of the functions have an underscore, and two don’t. What’s an INTERVAL data type? Why are there two of them? I’ve covered them in this article. An INTERVAL YEAR TO MONTH data type lets you store a period of time by specifying the years and months. An INTERVAL DAY TO SECOND data type lets you store a period of time by specifying the days, hours, minutes and seconds. number (mandatory): This is the number to be converted to the interval type. interval_unit (mandatory): This is the unit of the interval to use. It is a character type and can be either of ‘YEAR’ or ‘MONTH’. The number parameter can be any NUMBER type, or a value that can be implicitly converted to a NUMBER. The interval_unit can be any of CHAR, VARCHAR2, NCHAR, NVARCHAR2 types. The interval_unit parameter is case insensitive. Leading and trailing values are ignored. By default, the precision of the returned value is 9. 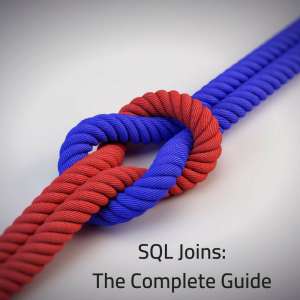 Want an Oracle SQL function cheat sheet for easy reference? 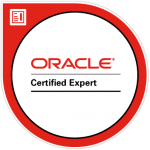 Click here to get a PDF file that contains all of Oracle functions for you to reference or print out. number (mandatory): This is the number to be converted to an interval. input_string (mandatory): This is the value that is to be converted to an INTERVAL YEAR TO MONTH data type. A character string in an interval format (e.g. “02-05”) which can be any of CHAR, VARCHAR2, NCHAR, or NVARCHAR2. We’ll see an example of both formats later in this article. input_string (mandatory): The character string to be converted into an INTERVAL DAY TO SECOND data type. nlsparam (optional): A string value that represents the decimal and group characters. It must be a NLS_NUMERIC_CHARACTERS value. The input_string can be any of CHAR, VARCHAR2, NCHAR, or NVARCHAR2. The only valid nlsparam for this function is NLS_NUMERIC_CHARACTERS. This function also accepts an input in the format of the ISO duration. How Can I Specify or Change the Oracle NUMTODSINTERVAL Format? How can you format this output and turn it into something else? You’ll need to use a combination of string manipulation functions and the EXTRACT function. See the Examples section below for some examples on how to format the output of a NUMTODSINTERVAL function. Can You Use NUMTODSINTERVAL with Milliseconds? To do this, specify a decimal value for the number (e.g. 0.25) and the ‘SECOND’ value for the interval unit. This will add 250 milliseconds to the interval data type. See the Examples section below for more information. Can You Use NUMTODSINTERVAL with a Month? No, you can’t use a month with this function. This function returns an INTERVAL DAY TO SECOND data type. The maximum part of this time value is a DAY. How would you convert a number of days into a month? How many days are in a month? 28, 29, 30 or 31? When you’re talking about a generic month, Oracle doesn’t know. So, to use a month value with a function, try the NUMTOYMINTERVAL function. Here are some examples of the NUMTOYMINTERVAL function. I find that examples are the best way for me to learn about code, even with the explanation above. This example uses an input value and an interval type of “year”. The value shown is +15-00, which represents a positive value of 15 years and 0 months. This example uses an input value and an interval type of “month”. The value shown is +01-11, which represents a positive value of 1 year and 11 months. This is because 23 months is converted to 1 year and 11 months. This example uses an input value and an interval type of “year”, which is negative. This value is shown as -4-00 which represents a negative value of 4 years. This example uses an input value and an interval type of “month”, which is negative. This value represents a negative value of 01-06, which is 1 year and 6 months. Here are some examples of the Oracle NUMTODSINTERVAL function. I find that examples are the best way for me to learn about code, even with the explanation above. This example converts a DAY number to an INTERVAL DAY TO SECOND data type. The +14 indicates that this is positive 14 days. If it is added to a date, it will move the date into the future. This example converts an HOUR number to an INTERVAL DAY TO SECOND data type. The number 8 is shown in the result as 8 hours. As you can see, it has converted this into 1 day and 8 hours, because that’s what 32 hours converts to. This example converts a MINUTE number to an INTERVAL DAY TO SECOND data type. This shows 25 minutes in the data type. This example uses a high number of minutes and converts it to the INTERVAL DAY TO SECOND data type. It has been converted to 6 hours and 52 minutes. This example converts a SECOND number to an INTERVAL DAY TO SECOND data type. It shows a value of 51 seconds. This example shows what happens if you use a very high number of seconds. This has been converted into 103 days, 11 hours, 46 minutes and 4 seconds. This example uses a decimal number to convert a number into an INTERVAL DAY TO SECOND data type. As you can see, any decimal places have been converted to milliseconds. This works the same with any interval_unit specified. This example shows what happens when we use a negative number. This has been displayed as 18 hours. Notice the “-” sign at the start. This indicates that it is a negative interval, so when it is added to dates, it subtracts the value. This example shows how to format the output of the NUMTODSINTERVAL function. This query has a few steps in it. I’ve selected the original unformatted value so you can see what it looks like. Next, I’ve extracted each of the day, hour, minute, and second from the interval value. This interval value is called elapsed_interval and was selected later in the query, which you can substitute for your own value. Then, the extracted values were padded with 0’s using LPAD up to a specified length. Then, they were concatenated with spaces or colons. Finally, it was converted to a character value using TO_CHAR. This method is quite flexible and you can change the padding and other values as needed. Here are some examples of the TO_DSINTERVAL function. I find that examples are the best way for me to learn about code, even with the explanation above. This is a basic example of the TO_DSINTERVAL function. The output is shown here in an INTERVAL DAY TO SECOND data type. Here’s another basic example of the function. This example uses a value of 0 for the days. Here are some examples of the TO_YMINTERVAL function. I find that examples are the best way for me to learn about code, even with the explanation above. 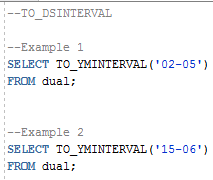 This is a basic example on how to use the Oracle TO_YMINTERVAL function. It shows an INTERVAL value which is 2 years and 5 months in the future. This is another basic example with higher values. It shows an INTERVAL value which is 15 years and 6 months in the future. This example adds an interval to a date value. This shows today’s date, and then a date which is 4 years and 1 month in the future. This example uses the ISO input type. This result is 1 year and 2 months in the future. Could you provide a ‘real-world’ example of how these functions would be needed? Would it replace a WHERE clause to see if a date (or time) lies BETWEEN two values? Can it be logically checked against a regular DATE or TIME datatype?